We have implemented a new login method that will allow our users to login with their university credentials via BearID (firstname_lastname) and password. These are the same credentials Baylor faculty, staff and students use to check email online. 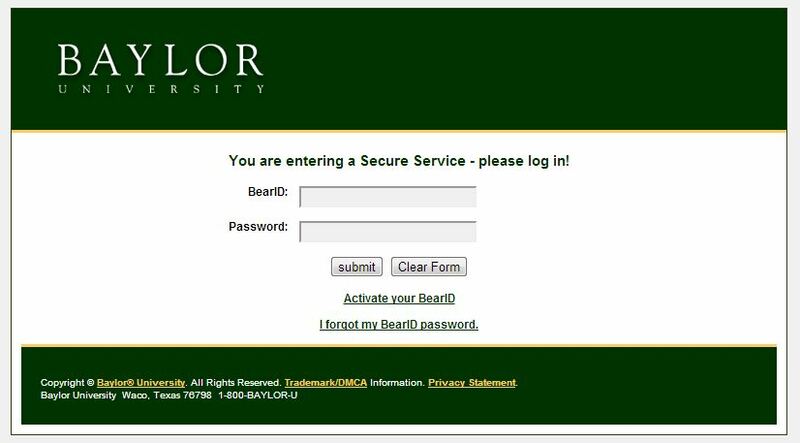 After you login with BearID and password, you will be routed back to your personal Dashboard at http://blogs.baylor.edu. When you get routed back to the Dashboard, you may see an interface that’s more limited than the Dashboard you’re used to seeing. In this case, click the “My Sites” link in the top toolbar to see the list of sites for which you have access and select the appropriate Dashboard for the site you’d like to edit. To logout of Edublogs, you will either need to close your browser or clear your browser’s cache and/or history. Are you seeing duplicate posts by ‘admin’? Since the latest WordPress upgrade, some of our users now have duplicate posts with the author set to “admin.” These duplicates will show up on your posts page in the Dashboard–feel free to delete them. If you have additional questions, email us at wordpress@baylor.edu. We apologize for the inconvenience.